Welcome to MESA International's online learning center! Our on-demand courses let you learn at your own pace anywhere and anytime you can access the internet. Members: take advantage of special member discount pricing for courses. All MESA Members have an account on the site. Sign in with your membership email address. Set your password here. Not a member? 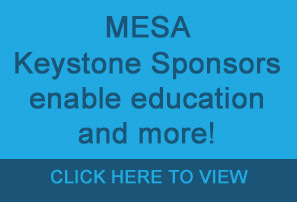 Learn more about MESA membership here. We live at the intersection of Manufacturing and Information Technologies and focus on the business value found there. Take your first course today, and stay tuned as we share more courseware. Visit MESA.org to learn more about what MESA knows. This course will introduce you to the concepts and major components required to complete an ROI and justification. This course will provide an introduction to Smart Manufacturing, the logical progression of all previous eras known as Industrial Revolutions.